Luxury, comfort and convenience come together in a setting of classic elegance at the Gran Hotel Costa Rica. Located in the heart of San Jose, with shops, restaurants, banks, public offices and the city’s nightlife only steps away, the Gran Hotel is the obvious choice for business or vacation. Services include gift shop, bar, and 24 hour coffee shop. 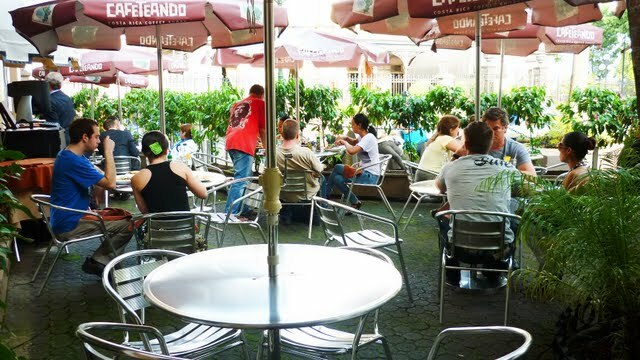 The side-walk cafe facing the National Theater is one of the most popular gathering places in San Jose. You can listen to the marimba music and watch a colorful swirl of people go by. Fine international dining in an elegant atmosphere. Two drinks for the price of one at the daily Happy Hour, 5 to 7 p.m., and 47 inch cable TV with U.S. programming. The gateway to the 1930 historical landmark reveals an exquisite architectural style and a delicate reminiscence from the beginning of 1900.. The 109 luxurious rooms offer private bath, telephone, cable TV with English programming. There’s 24 hour room service and same day laundry service.